Albertans shattered advance voting records over the past week. 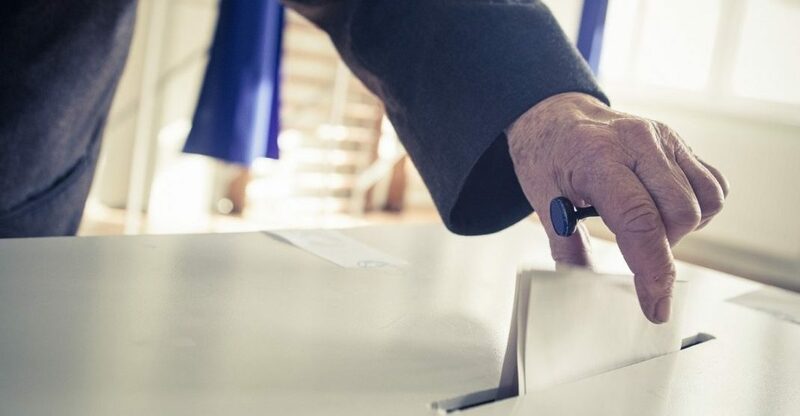 The 2019 Alberta provincial election’s advance voting ran from April 9 to 13 and saw an astounding 696,000 ballots cast before the official election day, April 16, has even gotten underway. 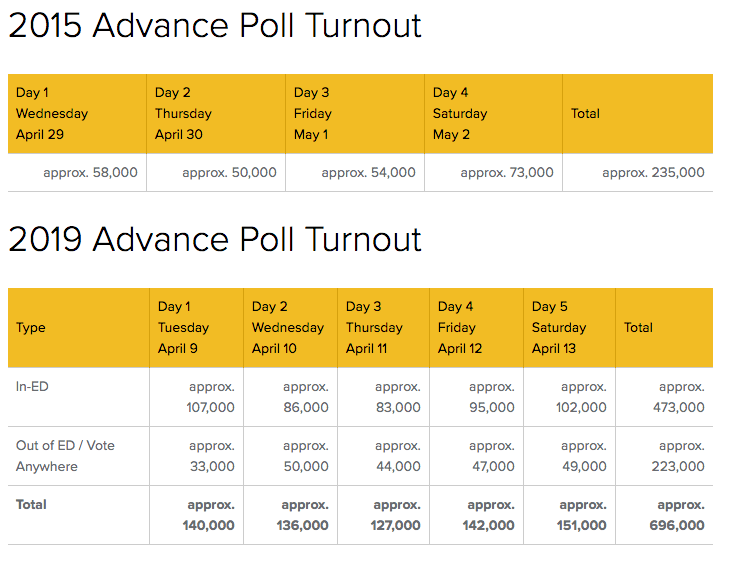 The number of advance votes cast in 2015 (235,000) was eclipsed by April 10, and the following three days of 2019’s run saw strong numbers the whole week through. Thursday, April 11 garnered 127,000 votes, April 12 had 142,000, and April 13 saw the highest of the entire week with 151,000. This election marked the first time that Albertans were allowed to cast their advance ballots from any advance voting station in the entire province, and a total of 223,000 Albertans did just that, according to Elections Alberta’s unofficial count. To put these numbers into perspective, the previous three elections saw a total voter turnout of 1,495,404 (2015), 1,298,174 (2012), and 894,591 (2008), meaning that the number of Albertans who have already voted in this election is just 200,000 short of the total who came out just 11 years ago. The previous three Alberta elections have seen a steady increase in voter turnout percentages, as well, starting with the historic low of 40.59% in 2008 and working its way up to 59.37% in 2012 and 57.02% in 2015. Given that the current population of Alberta is around 4.38 million as of 2019 (and that’s including people who are either too young/otherwise ineligible to vote), then the advance voter turnout has already seen over 15% of the entire Albertan population cast a ballot in the 2019 provincial election. 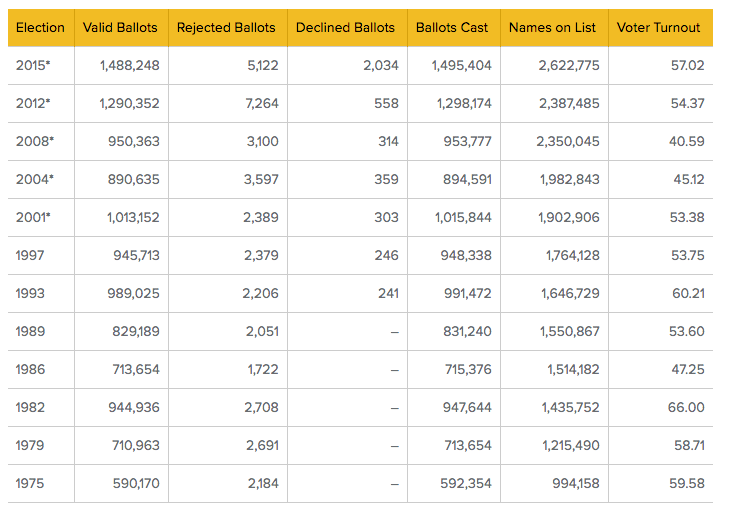 Exactly what political party any of those ballots was in favour for will not be determined until polls close on Tuesday, but it’s quite clear that Election Alberta will have a lot of votes to count tomorrow night. Voting stations will be open from 9 am to 8 pm on Tuesday, April 16, and you’ll need to vote at your designated station on election day.